Smoky Mountain vacations offers outdoor adventure activities, theaters, secluded honeymoon cabins, shopping, and many entertainment options. Smoky Mountain vacations are centered around Great Smoky Mountains National Park in the southern Appalachians. 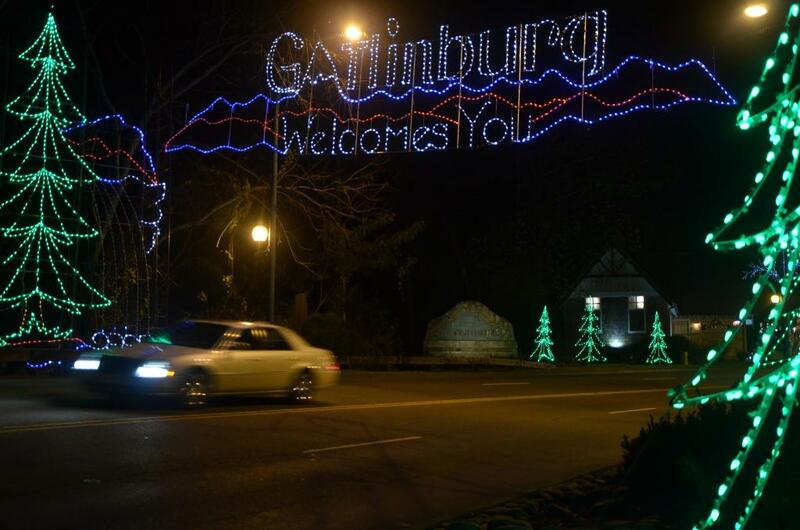 A Holiday welcome in Gatlinburg, TN. Smoky Mountains vacations. Nearby Pigeon Forge, Sevierville and Townsend in Tennessee and Cherokee in North Carolina also offer lodging and attractions. Lodging options for Smoky Mountain vacations range from backcountry camping to luxury resorts. Cabin rentals are a popular option that combines luxury with the rugged outdoors. Numerous hotels in all price ranges and with a variety of amenities are available in all the cities around the Smoky Mountains. Outdoor adventures include rafting, ziplining, horseback riding, fishing and hiking. 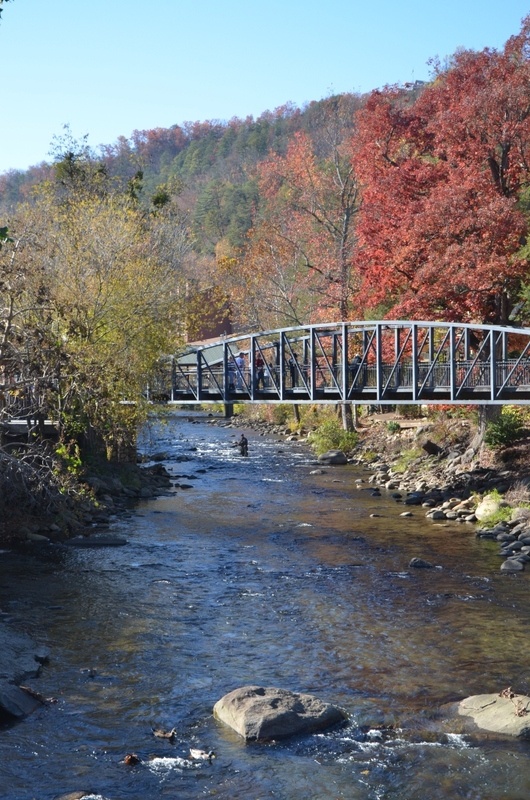 The mountain streams, waterfalls and hiking trails provide accessible options to enjoy the outdoors. The Visitor Centers at Great Smoky Mountains National Park are an excellent source of information for outdoor exploration. ation. From outlet malls to individual gift shops to flea markets, there are stores for nearly everyone. Like many mountain areas, points of interest can be located some distance from each other. Driving through the mountains naturally includes hills and curves, and therefore leave sufficient time between activities to get around. While driving through the mountains, the many scenic overlooks offer parking areas to see the beautiful mountains. 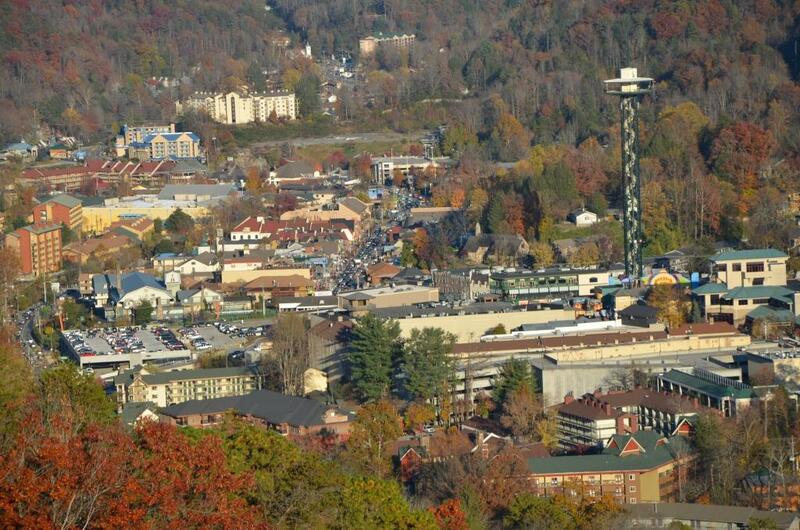 Aerial view of Gatlinburg, TN – gateway to Smoky Mountains vacations. Some refer to the Smoky Mountains as the Wedding and Honeymoon Capital of the South. Many people are coming their honeymoon with Smoky Mountain vacations. Smoky Mountain vacations provides a wide variety of adventure, attractions, theater and shopping to appeal to nearly everyone.